Yesterday we talked about ideas for teacher gifts. Today let’s talk about simple gift ideas that could be for co-workers, those gift exchanges that you have to do at Christmas parties, neighbors, people at church, friends, and really anyone you want. And these gifts are not specific for Christmas – you could use them for Mother’s Day, Father’s Day, birthdays, Valentines, last day of school, and so much more. 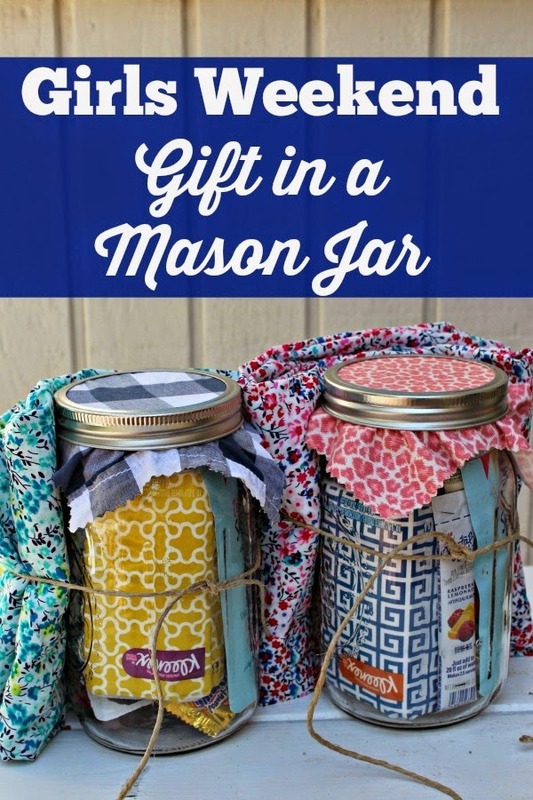 I don’t know about you but I LOVE jars – big glass jars to use as canisters in the kitchen or laundry room, smaller jars to use for spices, and I have a special love for MASON JARS. 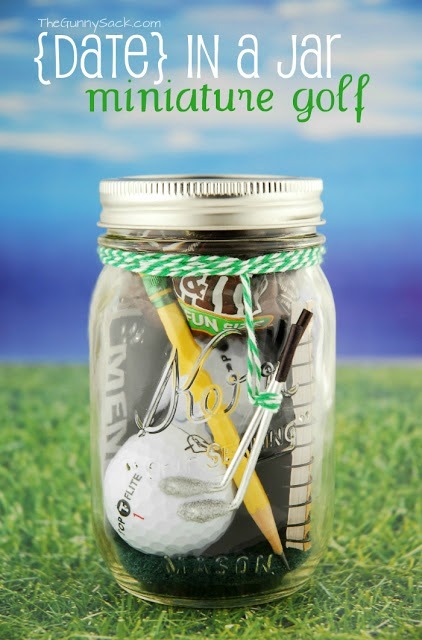 So what better way to give a creative gift than to give it packed in a jar? Now, I know this idea has been around for a long time as many people gave the dry ingredients for soup, cookies, etc in a jar but today I want to talk about NON-FOOD ideas for gifts in a jar. We will talk about food gifts in a jar a little later in this series. It seems as the popularity of mason jars has grown so has the creative ideas of how you could use them. You can pick up packs of mason jars at pretty much any store – Walmart, craft stores, grocery stores and they come in all sizes and shapes. 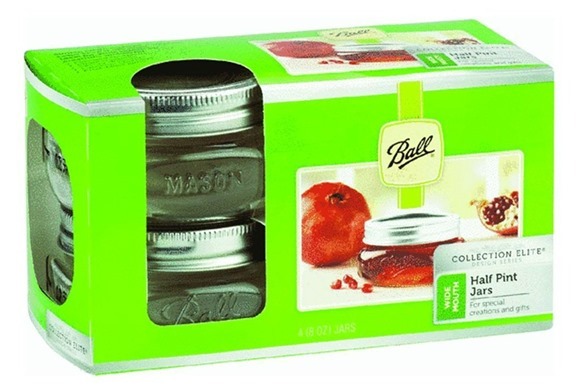 Or just order them from Amazon – Pint Jars are $17 a dozen and half-pint jars are less than $15 for a dozen (aff. link). 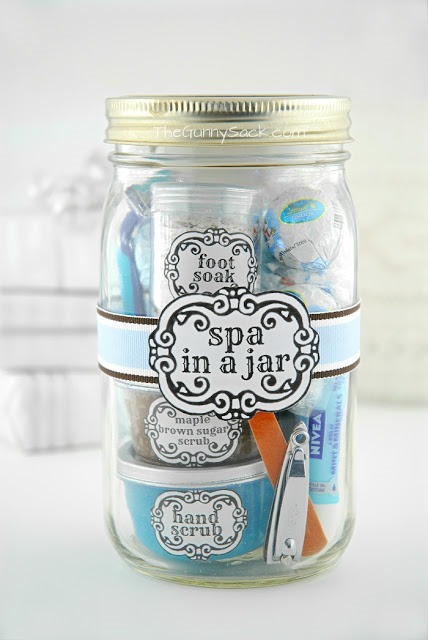 I love these little half pint jars for gifting a scrub or lotion. I had so much fun finding and looking through these ideas and I think I may have found some ideas that I plan on doing this year! Want a creative way to give a gift card? 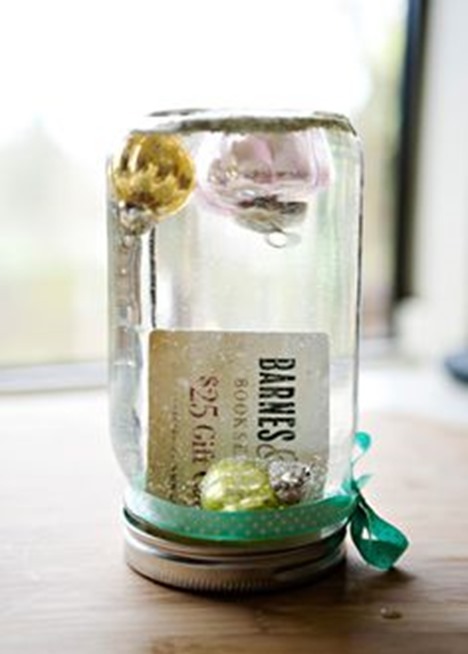 How about a gift card in a snow globe in a jar? 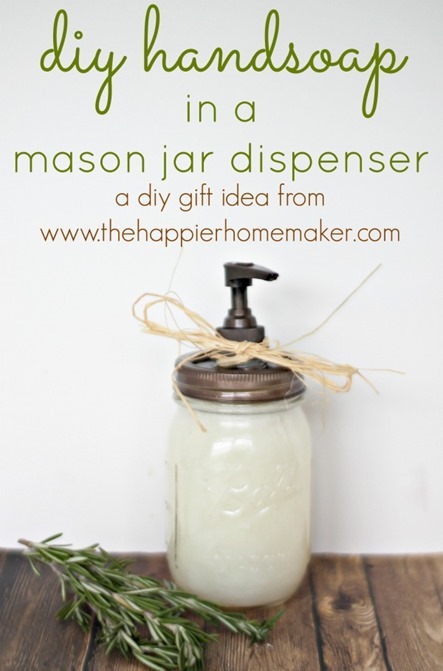 If you make your own laundry detergent, you could gift some of it in a cute jar with the recipe. 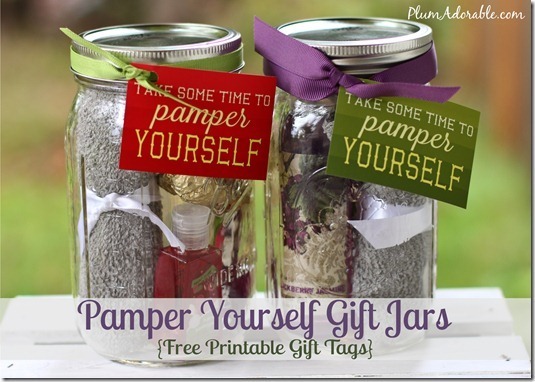 When I think about non-food gifts in a jar I think of things like spa sets, or themed kits. Like this Pamper Yourself set by The Frugal Girls. She has a complete breakdown on her blog too on where she got the things inside at deep discounts to keep the cost down. 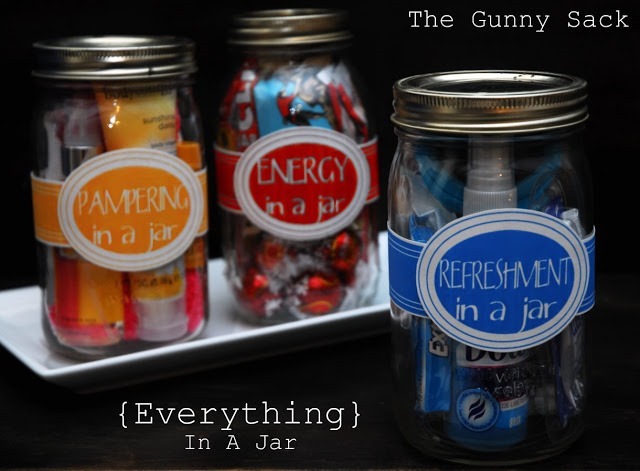 The Gunny Sack has 3 themes for gifts in a jar – Pampering in a Jar, Energy in a Jar, or Refreshment in a Jar – and she has the labels and everything that she put in them all laid out in her post. 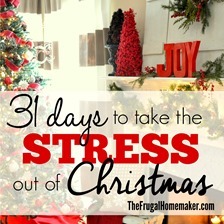 These would be great gifts for all throughout the year, not just Christmas. 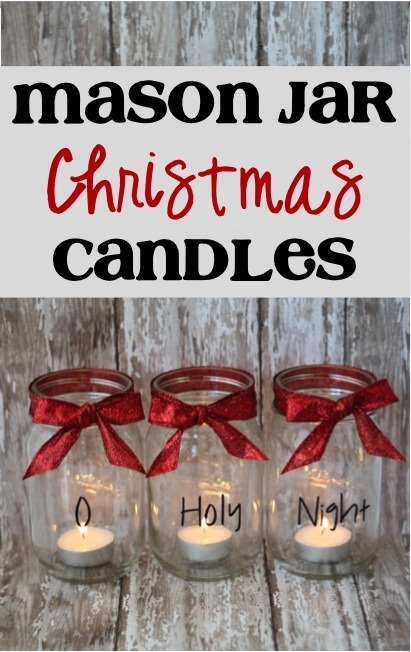 Here’s 5 more unique ideas from The Gunny Sack – for the crafter, a pampering/shaving jar for a man, the baker, someone who loves to draw, and a Christmas themed jar. I adore this idea and you could do any theme your heart desires! A date night in a jar! This one is a mini-golf date night by The Gunny Sack. But imagine tucking a restaurant gifts card with some nice chocolates or a RedBox gift card with some popcorn packs or some popcorn kernels with the recipe to make homemade popcorn, a themed gift such as a gift card to a gun range with some ammo in the bottom for the hunter in your life… The possibilities are endless and I am definitely tucking this idea away for gifts! 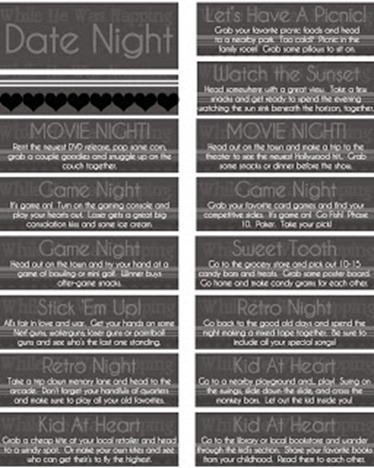 You could also put together a date night idea jar with the popsicle sticks that have become popular wedding /shower ideas. Here’s some printable labels to get you started but a quick search on Pinterest will give you many more ideas as well. 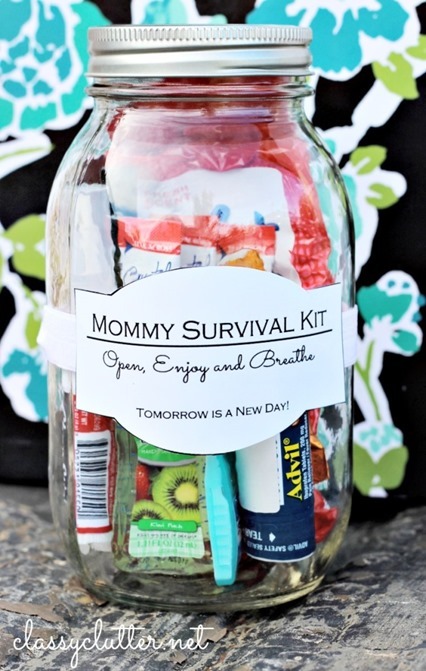 Here’s a mommy survival kit – would be great for Christmas or for a new-mom. 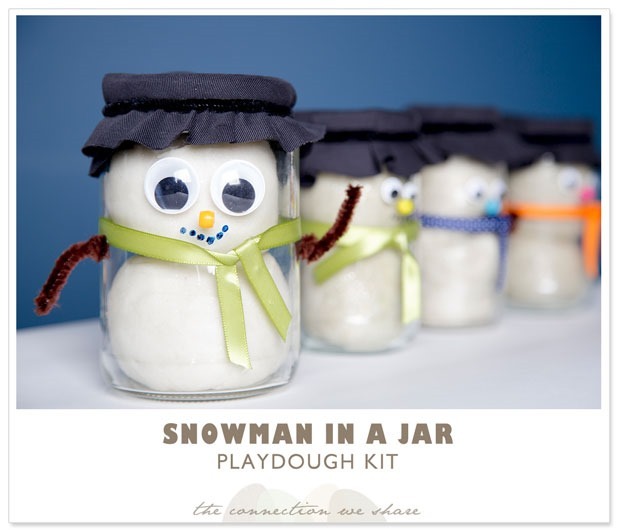 Here’s a cute kid-friendly idea – a playdough kit decorated like a snowman – so adorable! 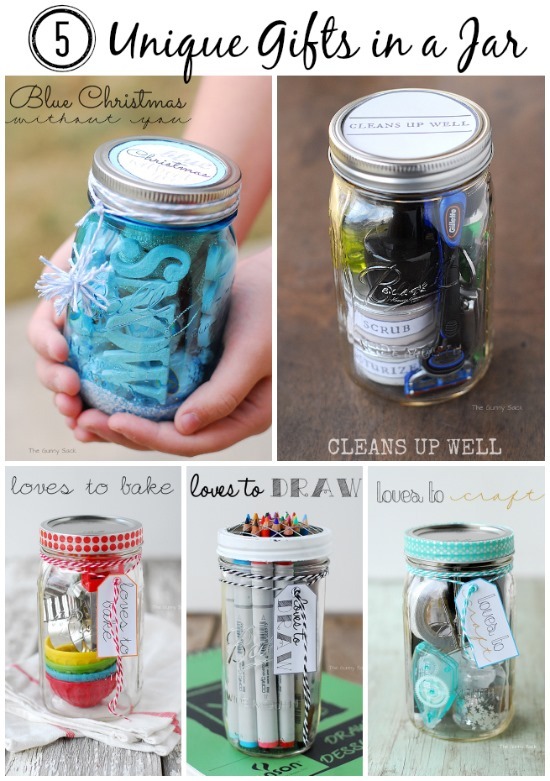 Girls weekend in a jar – love this! This is an apron in a jar! 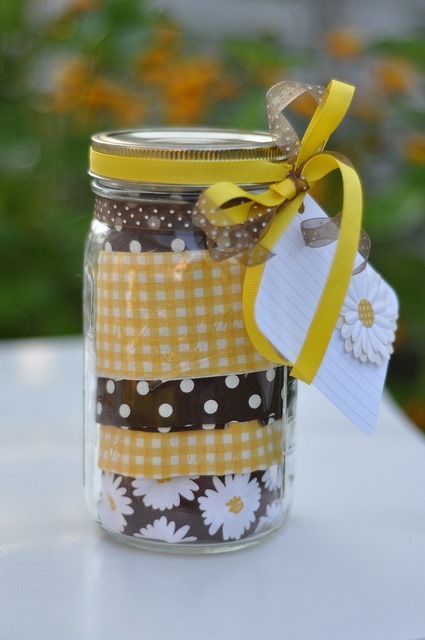 If you like to sew how about whipping up a cute apron and putting it in a jar and maybe attach a cookie cutter and your favorite cookie recipe as the label? I am so inspired by all these amazing ideas! 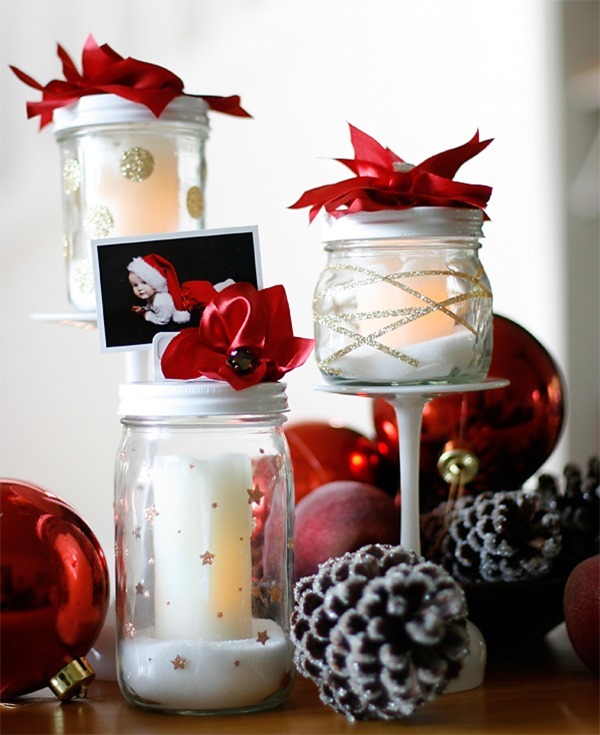 Of course you could decorate some mason jars and gift them and these festive mason jars are very pretty! Tutorial for how to make the pretty poinsettias attached on top at Eighteen 25. If you need a gag gift for those holiday office parties, here’s a cute Naughty not Nice in jar with the labels all ready for you to print. And I haven’t even touched on all the hand scrubs and homemade lotions you can make too and put in the smaller mason jars or in any kind of glass jar. 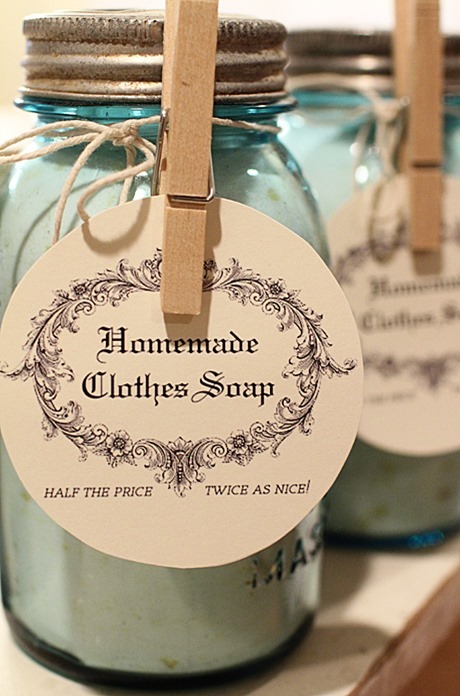 I came across countless recipes and cute printable labels for different scents and colors of hand scrubs. So if you are interested in doing something like that – do a search on Pinterest. 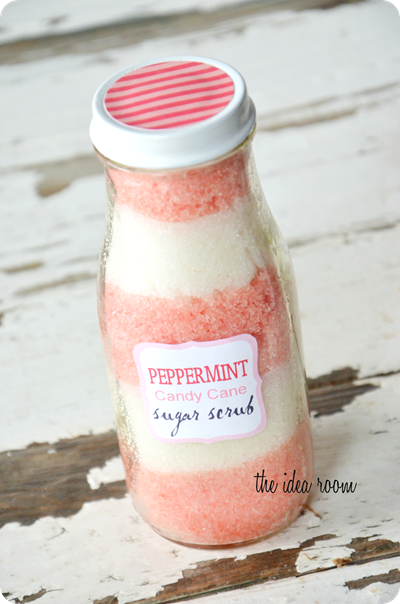 Like this peppermint candy cane sugar scrub by Idea Room. I love how she put it in a milk bottle type jar and layered it. 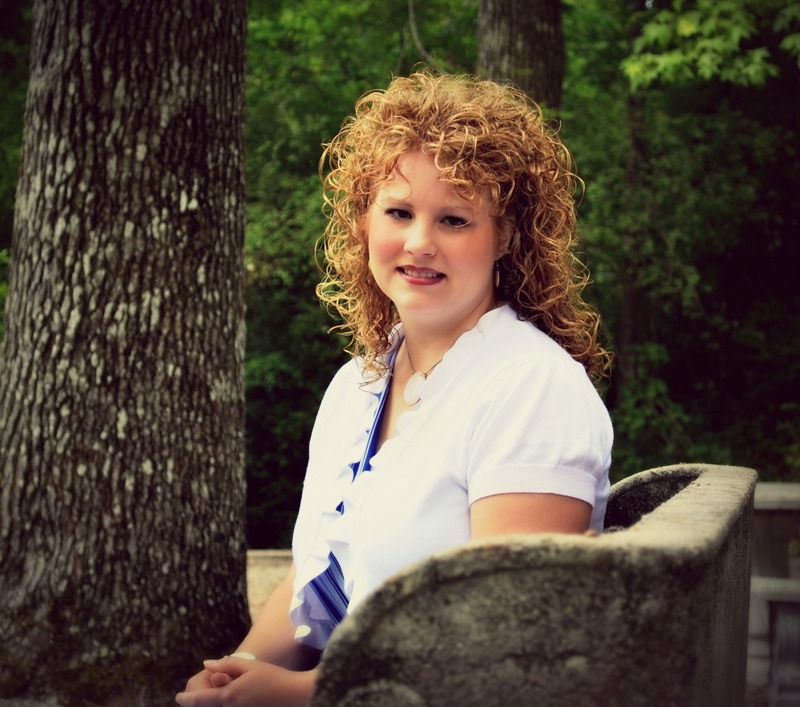 These scrubs are super inexpensive to make and so lovely to use! So which one was your favorite? 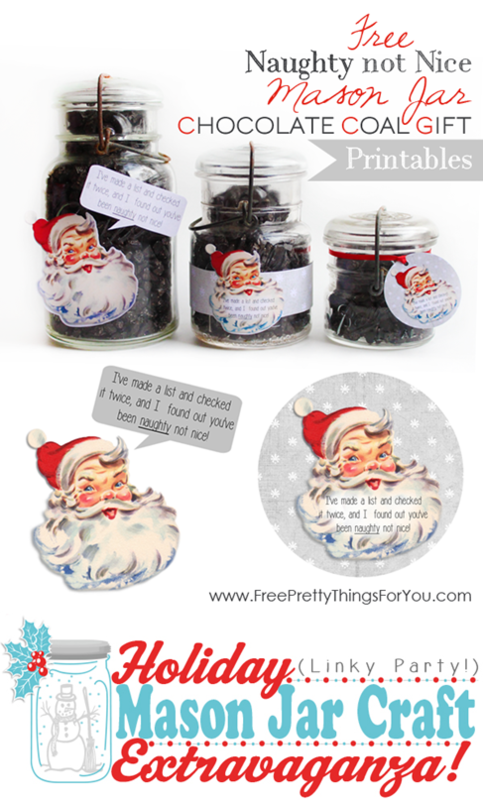 Are you thinking you might give some non-food gifts in jars this Christmas? So many great ideas!!! I am enjoying your posts on this series…THANK YOU! Wow. This is my first time to see non-food items on a jar gift! Yes, why not? 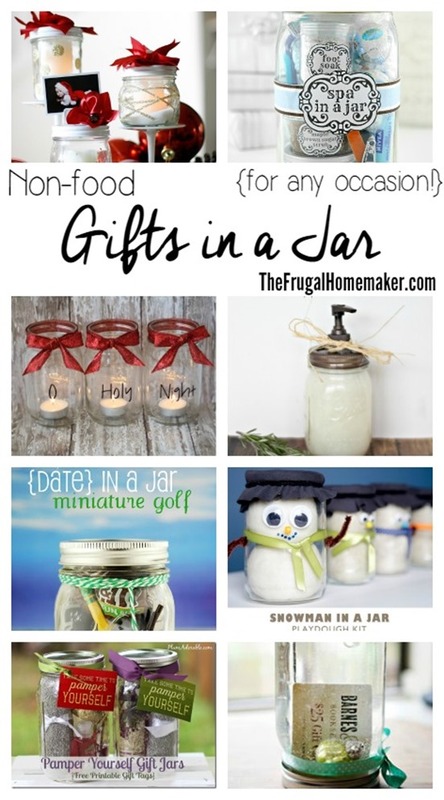 Awesome jar gift suggestions!